Reception desks are often the first thing people see when they enter a school which sets the building’s look and feel. A clean finish without signs of damage or wear makes a solid first impression so it’s important to find a reception desk that can stand the test of time while maintaining a professional appearance. The Marque Reception Station by OFM is one option that can accommodate countless front desk environments. 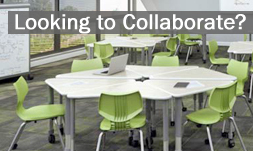 Receptionists work with sensitive school & personal information on a daily basis so they need a desk that makes it easily accessible for them and employees, yet out of sight from prying eyes. One way to deter suspicious activity is to provide a secure panel that obscures plain visibility while elevating access away from the desk such as a glazed counter panel for visitors. Also, an integrated lockable filing cabinet ensures secure storage of sensitive material & information while allowing access only to appropriate personnel. The PLB9 L-Shaped Reception Desk Suite by NDI Office Furniture provides both security and a professional appearance for your school’s front office. Most parents don’t go beyond the school’s front office administration area which means the receptionist’s desk is the best place to post important information such as lunch and attendance policies, upcoming events, and general information about the school. However, it also needs to have plenty of surface area to accommodate important action items such as visitor log sign-in sheet as well as school paper & documents to review and sign. 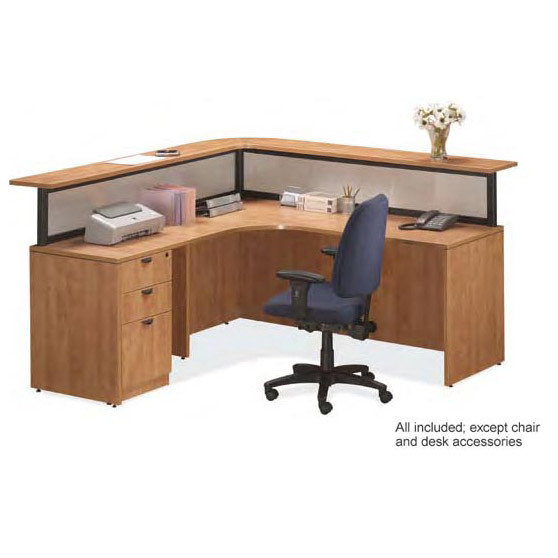 The Reception Desk Suite by NDI Office Furniture offers ample space for visitors, parents, and guests to conduct their business with front office staff in a busy administration office. 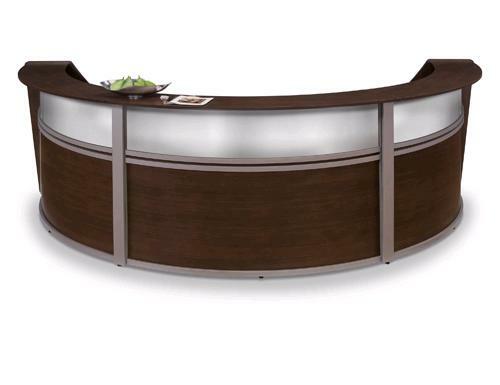 Reception desks should have the right mix of professional appearance, organization, security, and long-term durability. 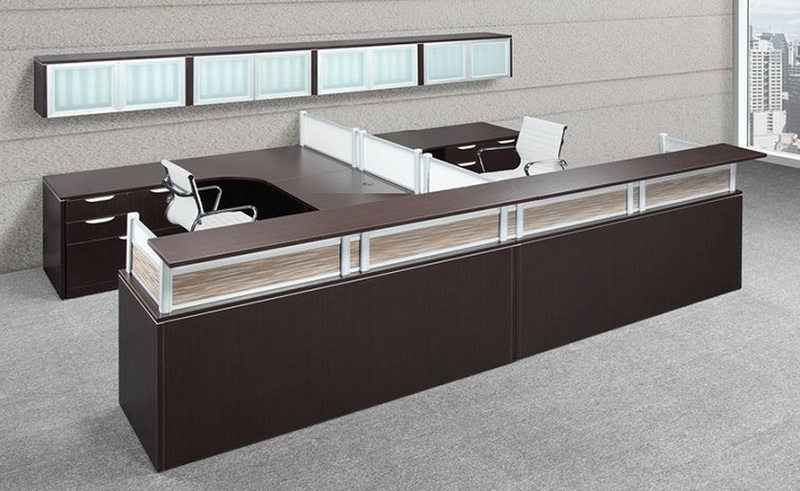 Here at Worthington Direct, we have a passion for providing the perfect first impression so we invite you to check out our comprehensive line of Reception Desks as we are more than happy to help you pick the right one for your front office! Your suggested Reception Counter Table designs for the School is very Aw. Reception Desk suit is eye-catching for me. How much cost of this Reception Counter Desk? We have a whole selection of reception desks with counters that you may browse on our website. Pricing is listed and you may also calculate shipping to your location. Please contact sales@worthingtondirect.com with any further questions about adding a reception station to your space. Thank you! Thanks for Reply to my query!